Check out Chloë Sevigny’s interview in the current issue of Purple magazine in which Chloë talks about her career, Downtown Race Riot and life in New York. Full article on the Purple website or under the cut. JOSHUA GLASS — You’re renovating a new apartment right now, your third. Have there ever been any trinkets or relics from past owners that you’ve found in that process? CHLOË SEVIGNY — Ugh, I wish, but no. I do have a friend who is this wealthy, eccentric-type of kid in New York, and he breaks into construction sites to excavate for those sorts of things — he just looks for stuff. It’s interesting, but he could get arrested and thrown into jail in a heartbeat! Luckily, his family is really powerful, so it’s not an issue. He’s very into old New York, though. The fact that he’s from this well-to-do family, and his criminal activity is to break into construction sites, is kind of a riot. JOSHUA GLASS — Speaking of old New York, you’ve been identified with the cool downtown scene for so long now. In 1995, you debuted in the film Kids, and today, over two decades later, you’re starring in the play Downtown Race Riot, both of which are set around Washington Square Park. What are the parallels in these experiences for you? 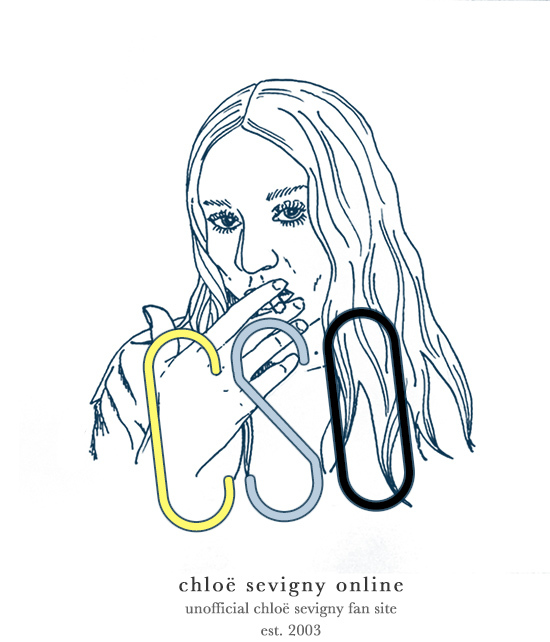 CHLOË SEVIGNY — When I moved to New York, I met my boyfriend Harmony Korine and TV personality Larry David in Washington Square Park — it was the epicenter of my world. That’s where I made all my early connections. I met the editor of Sassy magazine [Jane Pratt] at a newsstand, which led me to interning and then modeling there. For me, everything stemmed from Washington Square. I remember it all — even the dope pushers. I still walk through it today, and when I do, I get this weird vertigo feeling. The city leveled the ground — it always used to have this slope — and now I always expect to have that feeling. It’s so familiar and yet so foreign at the same time. I get very emotional. JOSHUA GLASS — And what about the role of Washington Square Park in Downtown Race Riot? CHLOË SEVIGNY — Downtown Race Riot takes place in 1976. The story is based on an actual event: a group of working-class kids — Irish and Italian — came into Washington Square Park and beat up all the African-Americans and Puerto Ricans. You know: “This is our park. This is our neighborhood.” In ’76, tensions were boiling, but Greenwich Village was thought to be the center of bohemia, so what was interesting was the fact that in that neighborhood — in what was supposed to be a safe space — so much strife could occur. Even in Kids, there was that famous scene of the gay couple walking through the park and getting bashed. And so, yes, there is this sense of parallelism. The play also centers on five young city kids in their 20s. They have this kind of energy, this kind of chutzpah. It’s a ferocity a lot of the kids in the movie Kids had. They’re surviving. JOSHUA GLASS — Every New Yorker loves to believe that their generation’s experience was the heyday of the city. Today, we immortalize the ’90s and this Kids context, and yet the park itself is virtually all New York University — office buildings and classrooms. What do you make of this refurbished space? CHLOË SEVIGNY — Gentrification has happened the world over. I feel a little nostalgic for the edge. But I think that maybe it’s more nostalgia for individuality. I’m not sure if that is just something I’m more attracted to — individuality over edge — but today, it just seems to be a product of our times with the Internet and everything being so accessible. Back then, kids who were alternative really had to seek that out. There was this sense of almost tribalism. Now, when I see a kid, it’s like, “Is he a fashion goth or just a goth?” I’m very confused by that because all these references are so accessible. Style is such a thing. JOSHUA GLASS — Do you think it’s because there is an awareness now of different cultural tropes? CHLOË SEVIGNY — I just don’t think I see true characters anymore, and I miss that. Maybe I’m going to the wrong places. Maybe I should be in Ridgewood or Two Bridges! Where are all the young people? Or the older eccentrics? They’re being pushed out, as the saying goes. I guess what I’m saying is: I miss the mom-and-pop shops. Cafe Orlin closed! Everything did. That there is not a bookstore other than Mast in the East Village is very disturbing to me. JOSHUA GLASS — It’s so difficult here — or really anywhere — to find a place where one feels comfortable, be it a bookstore or a bar. When that place closes, it can feel almost shattering. Did you have a favorite bar that you miss? CHLOË SEVIGNY — The Hole was such a thing for me for a certain amount of years. The other night, I was out with a friend for his birthday, and he asked me where we should go after, and I didn’t know. Like, where can people go in New York these days where they’ll see people they’ll like? We didn’t really know, and that’s kind of sad. But also, I think, that’s just what happens when people get older. I started going back to B&H Dairy a lot, just to eat every other few days. I like going back to the places I used to go to, just to remember old times and give them my business. My brother [Paul Sevigny] said that even Mayor de Blasio has realized that the nightlife landscape was such an identifiable part of New York, and now that it’s changed, something needs to happen to fix that. I do miss The Beatrix, though. It was a great club. Back then, I was in my 30s, and I was single, and I was into going out! There was dancing in the back, there was talking at the bar. It was a perfect alchemy that you don’t really see in other places. And the guys at the door were letting in younger people, but also the older crowd. From artists to people in the gay community, and the elders — what they’ve done and the walls they’ve broken down — there should be a certain reverence for these people, which in a lot of times I think is missing. JOSHUA GLASS — How do you as an actress — or even as a person — deal with racial or sexual discrimination, ageism, etc.? CHLOË SEVIGNY — Early in my career the issues came up. I was on Will & Grace and in Boys Don’t Cry. And I still have people who come up to me about both. Will & Grace was boundary-breaking for the characters they showed and the topics they covered on mainstream television. Boys Don’t Cry was really one of the first major films to explore transgenderism and give it exposure to people who would otherwise be terrified to come across it. Those projects are both really important to me, and that’s something I really strive for: to find work that effects change in people’s perceptions. It’s few and far between, but I always try to seek that out. JOSHUA GLASS — As someone to whom people look to find new things, how do you yourself stay engaged? CHLOË SEVIGNY — Mostly through other people, as well. Hanging out with my friends and meeting cool young girls — I don’t want to say I’m vampiric [laughs] but it’s really about finding what’s new. Even fashion in itself feels so stale; sometimes I’ll go on Instagram and just unfollow every photographer I know to start over. But at the same time, I still love a pretty dress. Seeing a Simone Rocha piece can make me melt. I guess what I’m saying is: I don’t like searching things out in the ways that I used to. I still go to art shows, museums, and all that, but it seems different. The terrifying thing about the “cool girl thing,” or whatever, is trying to maintain some sort of relevance now that I’m entering my mid-40s. Even doing American Horror Story, which was somehow both cool and not-cool at the same time. I have a private Facebook account, which I started a long time ago and is only for my really, really old friends, and all these alternative, weirdo friends from high school were obsessed with the series. I’m just trying to take risks like doing that or Portlandia, and put myself out there — to not be so concerned with only doing cool things. I have my first movie that I’ve ever starred in — [Lizzie], the story about Lizzie Borden — going to Sundance this year, and I’m directing two short films right now. It’s about working, trying new things, and staying engaged. JOSHUA GLASS — If you could disappear or start over as another person? CHLOË SEVIGNY — I’d be a housewife. [Laughs] There is this weird pressure of the fairy-tale, you know: the marriage, the kids, the house. At 43, the biological thing is very heavy for some girls I know. Say I married a rich dude, and I was, like, “I’m just going to raise these kids and stay at home.” That might be fun for me, I don’t know. I don’t know if I could really maintain that. Probably not, but it’s an obscure fantasy that a lot of women have, you know, making dinner and creating a home. On the other hand, maybe I should just learn to cook. I’m a terrible cook. Next Next post: Shop Chloë Sevigny’s closet on The Real Real!